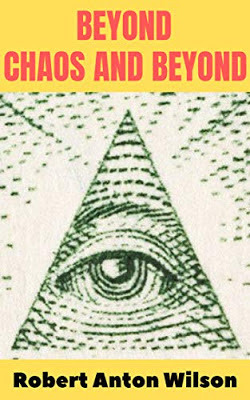 Here at RAWIllumination.net, we've had online discussion groups that went through Illuminatus!, Quantum Psychology, Coincidance: A Head Test and Masks of the Illuminati. Everyone was invited to participate. All of those are archived here at the blog, and it's not too late to post your own additional comments if you decide to read or re-read one of them. I'm pleased to be able to finally announce the schedule for our next discussion group: The well loved Robert Anton Wilson classic Cosmic Trigger: The Final Secret of the Illuminati. A brand new edition of the book has just been released by Hilaritas Press, the publishing imprint of the Robert Anton Wilson Trust. It's available as an ebook and a paperback and it features a new introduction by John Higgs. That is the text that we'll be using for our discussion group, which will begin on April 11, covering roughly 10 pages at a time. As in past discussions, the entries will be posted on Monday, giving everyone the rest of the week to weigh in with the comments section. I've lead the discussions in the past, but this time we are trying something new. Charles Faris has agreed to lead the discussions this time; I will post his pieces and weigh in using the comments, just like the rest of you. Charles was born in Alabama, raised in Hawaii, and spent his post-college life bouncing back and forth between Iowa and Bay Area California. He has worked as a dishwasher, busboy, lifeguard, grocer, retail whore, telephone solicitor, political canvasser, waiter, caretaker for the mentally disabled, chimney sweep, writing teacher, massage therapist, yoga teacher, and more. He has written a novel (burned), 2 collections of poetry (lost), 1 collection of short stories (MA thesis), and a variety of random non-fiction (HA!) pieces for a variety of dis-reputable journals. 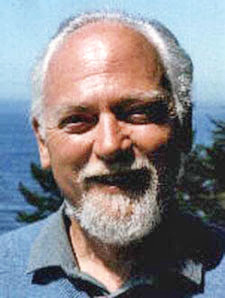 He is currently working on a long form writing project which takes a look at a contemporary family through a lens not unfamiliar with readers of Robert Anton Wilson. He resides in Roslindale MA, an old-school suburb of Boston with long term love Randi, son Rowan, and cat Sabina. Already digging in to the new edition, which I note follows 23 printings of the old edition!